So, I’ve been on a blogging hiatus since June, because quite frankly, I couldn’t find the time. And I was having too much fun. I’m going to attempt to catch up a little bit, and let’s start here, with a club review. Absolutely ages ago in the Summer (remember THAT guy?! 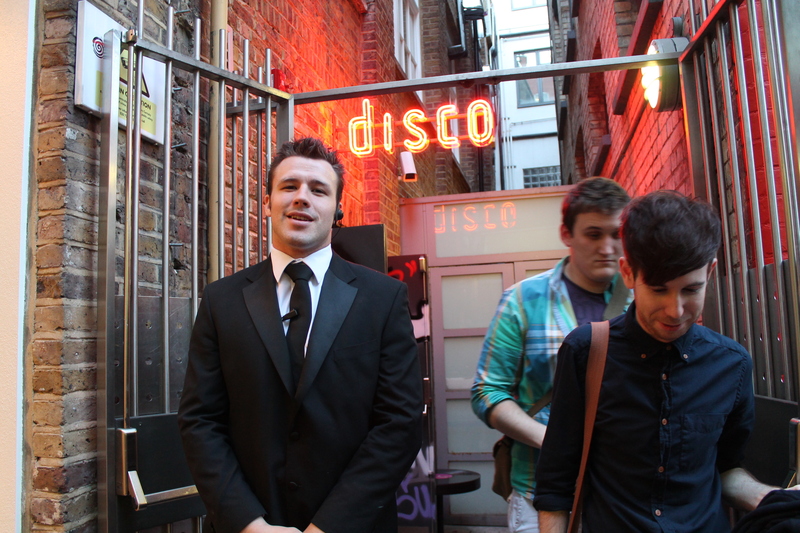 ), I piled along to a new concept club called ‘Disco‘ at Kingly Court, just off Carnaby Street. It’s the newest creation of the hugely innovative Charlie Gilkes and Duncan Stirling (also responsible for Maggie’s), and it’s one of those fantastic places where every single detail has been carefully considered. 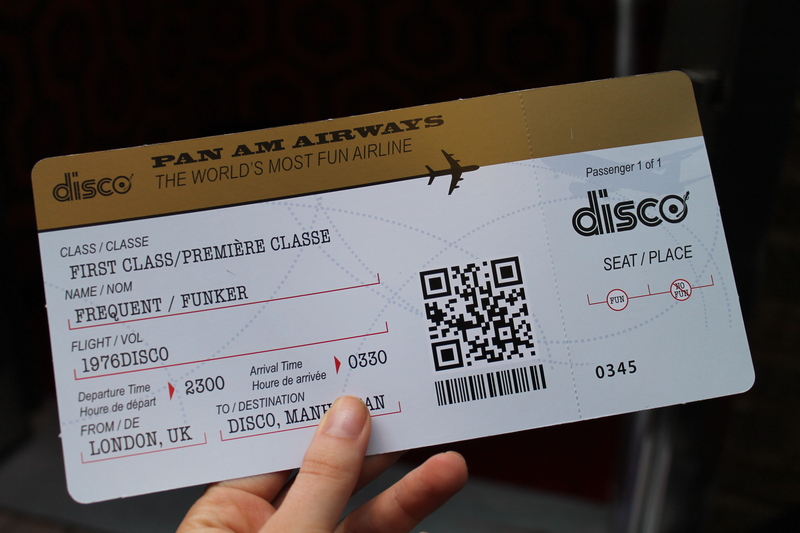 On arriving, you’re greeted by Pan Am uniform-clad staff, all perky smiles and pencil skirts. 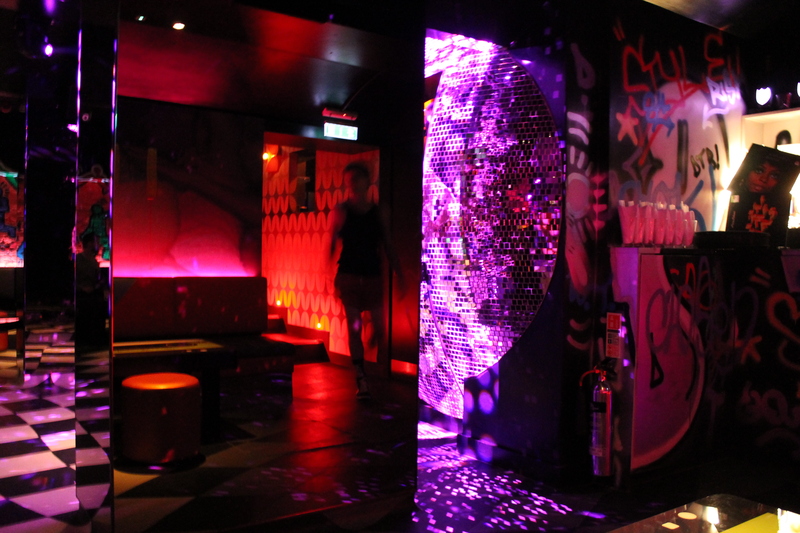 It’s fun – you’re given a boarding pass to enter, and the rather tiny club is a delightful tangle of rollerskates, neon and disco balls. The drinks selection is glorious and…I’m trying to skirt around using the words ‘kitsch’ or ‘retro’, so I’ll just say: very apt for the theme. 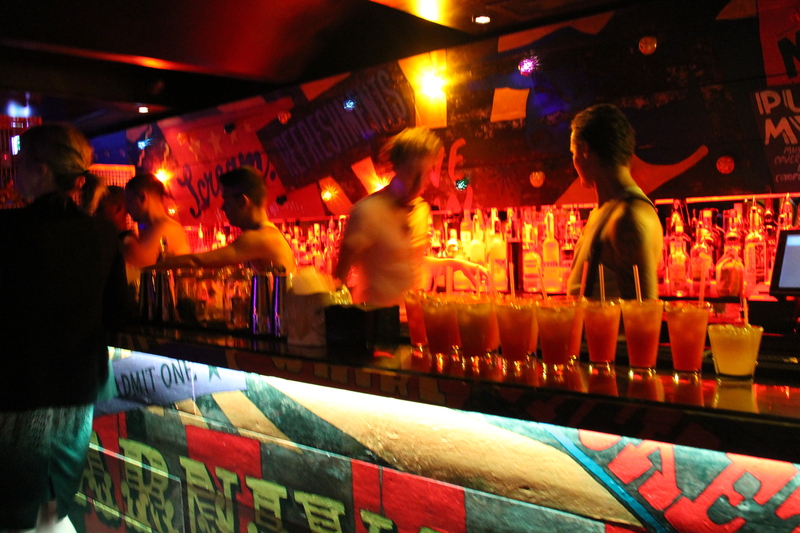 Cocktails heavily feature Midori, grenadine and orange juice, and spirits can be ordered with a mixer of Cream Soda or R. White’s lemonade. 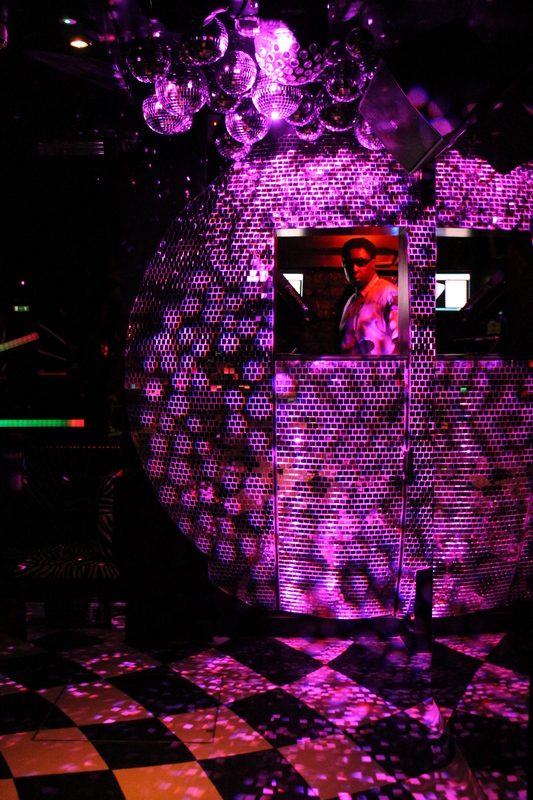 If you’re getting down on it, opt for the twinkly jewel in the ‘Sharer’ crown: a hollowed out disco ball packed full of black raspberry vodka, Moet, Malibu, Midori, pineapple and passionfruit. 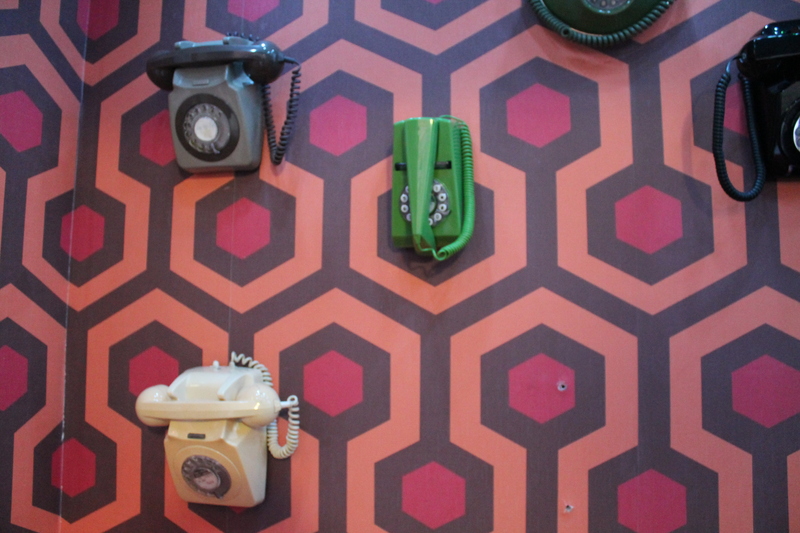 If you’re into zinc counter tops and slate walls, this place is not for you. Only take your fun friends, those who have a healthy taste for gold hotpants and Donna Summer. While it’s obviously supremely gimmicky, it’s so well-conceived that you can’t help but be charmed by it. All in all, I absolutely adored it. 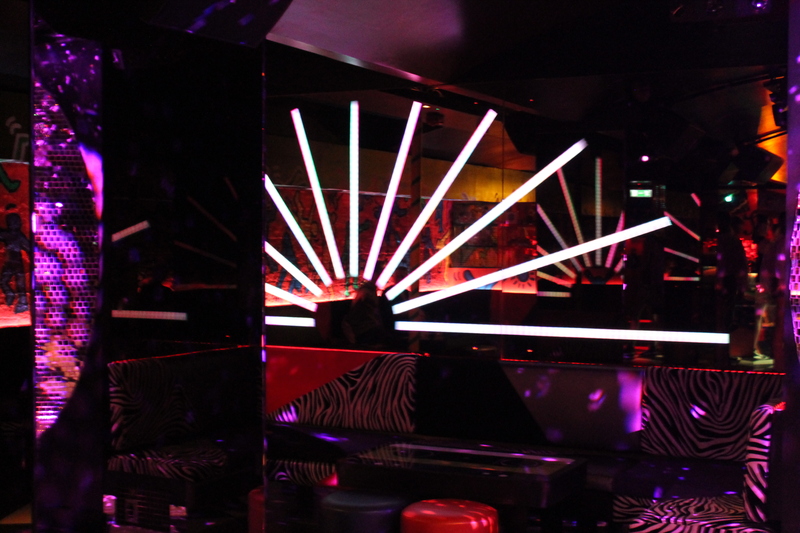 To get in, you either need to become members (it costs £35 a month after a £100 joining fee which includes free entry for two, discounts on private hire and priority booking on tables) or you can get on the “limited” guest list on the website and pay £20 for entry. Possibly not the most budget-friendly of places, but you’re guaranteed a wonderful night. 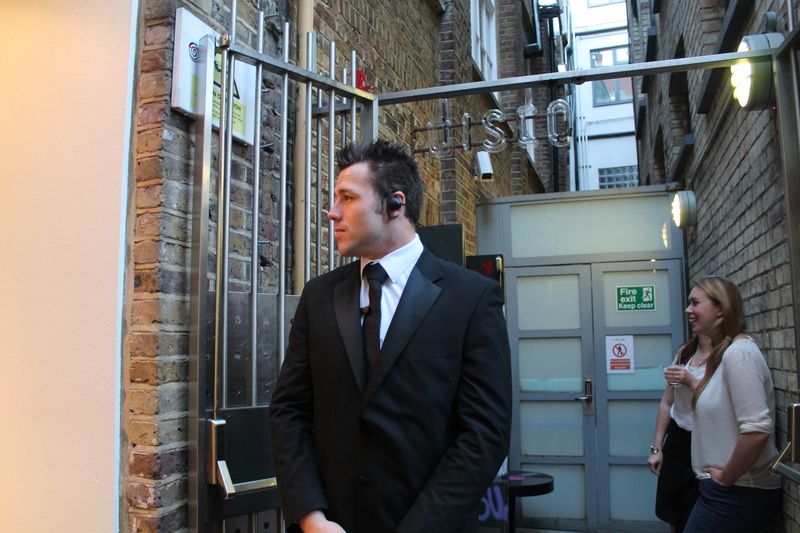 This very lovely bouncer asked to pose for a photo….